In Singapore, a new blockchain company is working to change the future of energy consumption. Back in January, we reported that blockchains were being used to change the energy market in various ways. The article claimed that blockchain technology could "one day enable the development of an integrated trading system that would permit businesses to trade their option to use electricity during a given time frame." For example, a factory could sell 5 minutes of unused power during a downtime to a different factory that needs the additional power. Trading grid flexibility in this way could provide large efficiency benefits for grid operators.”We also reported that cryptomining could actually consume 0.5% of the world's energy and that New York Power Authorities claimed that electricity utility providers can charge more to Bitcoin miners. Like most industries, the energy market has been influenced by blockchain tech and should be undergoing some major changes in the near future. Meanwhile, Benson Wang discovered he could cut down energy costs for his business by as much as 25% and saved 900 Singapore dollars, which is $600 in US currency. How was Wang able to cut costs so much? 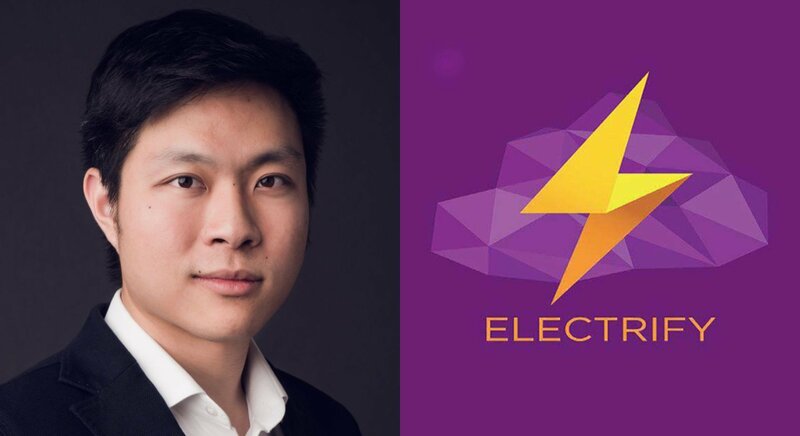 How are Julius Tan and Electrify Using Blockchain and AI to Change the Energy Industry? Wang's is just one of nearly 500 companies in Singapore that have saved money on their energy costs. To date, a total of 1.1 million dollars has been saved since these companies moved over to Electrify, a new blockchain-based platform designed to cut bills and change out perspective on energy. Julius Tan, the company's 29-year-old co-founder, believes if the system isn't right, the best person to change it is yourself. The company's goals are to give their customers access to more electricity providers on one central platform to better compare deals and give them the best options for their energy. Electrify also utilizes AI to match them with the best plans based on their own energy consumption and budget. As of this writing, Electrify is currently available to business customers, but the expectation is it will also be available to residential consumers in the fall. Afterward, the company plans to expand into Japan, the rest of the Asian market, and possibly Australia. Electrify innovating the energy market could be a sign of growing demand for energy disruptors and will mean opportunities for competition and collaboration in the industry. It's still extremely early in blockchain technology to fully realize what can be achieved long-term, but it seems energy will never be the same again.